Hawks Infotech specializes in PPC and has various packages and plans as per your needs. Every package is a different one with varying features and cost. So you will have to explore the packages one by one, see the features and then decide the best one ideal for your business. Unless the PPC strategy is correct, you cannot expect the results and things can go wrong. Therefore it is advisable to seek the assistance of the professionals who can create ads for you and drive clicks as well. PPC or Pay Per Click is one of the most effective forms of internet marketing wherein the advertiser gets few bucks every time the user clicks on the ad. This means more the number of clicks on the ad, higher will be the traffic and so is the income. PPC advertising has gained a lot of popularity in the recent times and emerged as the finest ways to advertise your business. 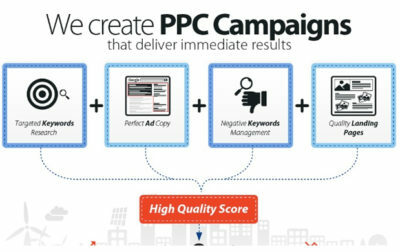 The right PPC management services not only boost your business sales but its presence as well. That is why it becomes all the more necessary to implement it in a proper way to get the desired outcomes. A dedicated PPC expert for your business who will analyse the same, ask queries and then suggest the best possible plan for you. The experts focus on building the PPC campaigns that work for you. A lot of time and expertise is devoted in the same to get the expected results. The leads are tracked and monitored on a regular basis and changes are made as and when required.